Mobile is no more a mere tool of communication but also a productivity tool. From serving a basic role of voice calls, SMS and alarm clock, the smart phone today has transformed itself into a companion. It has showcased its potential to be a connecting platform for the consumers, banks, government, hospitals and more. Similarly, mobile value added services (MVAS) too has progressed from pure entertainment services to draw in need-based services around education, governance, health and similar areas. With mobile positioning itself as a true ubiquitous solution and the ever-growing need for convergence in technology, have clearly paved way for Mobile VAS to be repositioned as mobility solutions. The fast-paced growth of telecom industry has also pushed the operators to constantly look at changing rules of the game; they are aware that rudimentary run-of-the-mill plans and packages are obsolete; and they must come up with innovative solutions to remain in the game. Rise in data consumption backed by spread of mobility solutions and surge in the number of people in middle-class segment have been key growth drivers for the telecom industry. The rise in data consumption has led to the entry of Over-The-Top (OTT) players which in turn has hit the telecom operator’s ARPUs resulting into customer churn. Additionally, the potential of the industry attracted new players to offer existing services at competitive prices. Operators have tried their best to utilize the mobile revolution especially focusing on rural Bangladesh. However, the agenda to acquire new subscribers led to aggressive pricing and innovative personalized solutions. This powerful shift in the industry has raised an important question – Is Innovation enough to sail through the tough times of decreasing ARPUs and increasing competition? It is true that telecom industry is experiencing an exponential growth owing to several positive trends; however it is also not all a bed of roses. As a matter of fact, telecom operators are hounded by the challenges of customer churn, customer retention and at the same time attract new customers. Today’s customer experience ecosystem is essentially a network of customers, partners and employees. To add, stringent rules and disorganized technologies result in a lumbering player who cannot leverage existing partnerships and thus by default is unable to effectively respond to market changes. Operators who regularly come out with solutions and services to improve their subscriber base, however, fail to impress the consumer due to orthodox marketing and inappropriate target audience selection. Telecos looking at deploying effective broadband services need to focus on scaling up their network performance. The network should be available everywhere with minimal call drop outs, consistent app browsing across regions and personalized solutions specific to local geographies. Driven by mobile connections, the country’s telecom industry added over one million users in April 2015, taking the total number of subscribers to 124.705 million as per latest data released by Bangladesh Telecommunication Regulatory Authority (BTRC). With such a wide base and high speed broadband, connectivity has taken a new dimension in terms of how people interact, conduct business etc. Consumers feel the need to be empowered and not restricted in any way. Telecos will need to differentiate based on the experience they offer to their customers and ensure the highest level of consumer satisfaction while addressing complaints and proactively provide consumers with viable solutions. 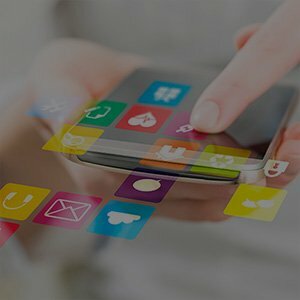 Trends suggest that there is a growing market for next-generation analytics in Bangladesh amid intense competition among telcom players and increasing smartphone penetration. Telecos prominently focus on analytics to unify data from traditional and big data to derive valuable insights. Need of the hour is solutions which provide high precision real-time analytics-driven marketing solutions. Keeping an account of real-time sentiment data for more accurate consumer targeting has become a pivotal part of the client or customer service. The relationship between strategy, data and consumer delight is transforming a practice which once was an art. While most telecos have access to vast amount of data, understand and effectively leveraging the same becomes a predominant challenge. Most companies capture and store petabytes of data on their customers but the level of know-how to analyze that data for meaningful, actionable information is still nascent. Data analytics have transformational potential, they are helping entrepreneurs emerge and discover new insights, determine patterns and plan their eventual business strategy accordingly. Cost Optimization – Maximum output with minimum investment. Analysis will provide enough data for telecos to ensure the right message for the right consumer. This will enhance consumer experience and also reduce operational marketing costs. Inaccurately targeted customer can result in either a lost opportunity if the consumer does not take-up the offer or cannibalization of revenues or if one underestimates a consumer’s buying potential. Providing Value – Mass marketing is evidently a thing of the past and telecom operators have long realized the importance of using personalized data to differentiate subscribers and target them with offers tailor-made for them. Analytics almost diminish intuitive marketing and offers. The services and solutions will solely depend on fact-based data on consumers fast behavioral patterns. In the coming years, we need to move a step ahead of just personalization and provide a complete Intent Management program. In other words, marketing in the near future will boil down to sophisticated systems being packaged into applications made accessible to end users to meet their customized business and personal needs. Many cloud based solutions are available in the market to provide a holistic management thereby enabling faster development and delivery of innovations. To achieve this, customer experience management (CXM) is the way to go. You can innovate, but how does the customer know that there is a new offering, a service or just plain vanilla offerings, a new way of doing things? CXM isn’t a technology or tool nor is it just a visibility problem. It is more about managing end to end the entire consumer experience. CXM and technologies are two sides of the same coin. CXM may not be a technology, but technology is what makes or breaks it. CXM essentially entails understanding that every customer is different and every customer has a different need. The highly evolved consumer wants companies to recognize this by providing personalized content, services and attention at all available touch-points. For example, if a consumer is visiting Bashundhara City, Dhaka’s high end premium shopping mall, and the marketer is able to provide the consumer with an irresistible offer from Mustafa Mart, keeping into account the individual’s pervious patterns and knowing that his/her birthday is in a few days. Such a precise and intelligent marketing will ensure conversions of sales over time rather than random email/SMS blasts. To sum up, operators have multifaceted challenges today. Consumer stickiness has to be achieved with the existing consumers and potential consumers have to be attracted at the same time deal with stringent competition from the industry results in immense cost cutting. In a situation like this, CXM comes to their rescue, as it helps these players understand and maximize the value of each individual customer through ongoing, tailored interactions. It helps these companies make sense of an overcrowded, complex marketplace. It enables operators to think differently and see their customers from the inside-out .